Specs: Summit elevation: 315′; Base elevation: 70′. 3 Lifts: 2 doubles, 1 surface. Uphill Capacity: 2700/hr. Terrain Mix: 50-30-20. Longest Run: 2,200′. Season: usually January through mid March. Night Skiing. Annual Snowfall: 48″ (?!). Snowmaking: 100%. The SKInny: Good small suburban ski area, great for newbies, novice/intermediates, and kids skiing. Warm friendly atmosphere, and where else you gonna ski in Rhode Island? But it’s more than that. Yawgoo not only promotes the sport, but promotes fun and with gimmicks like their “coins” they make the whole thing affordable. And as the locals say when hitting top speed: YAWGOOOOO! 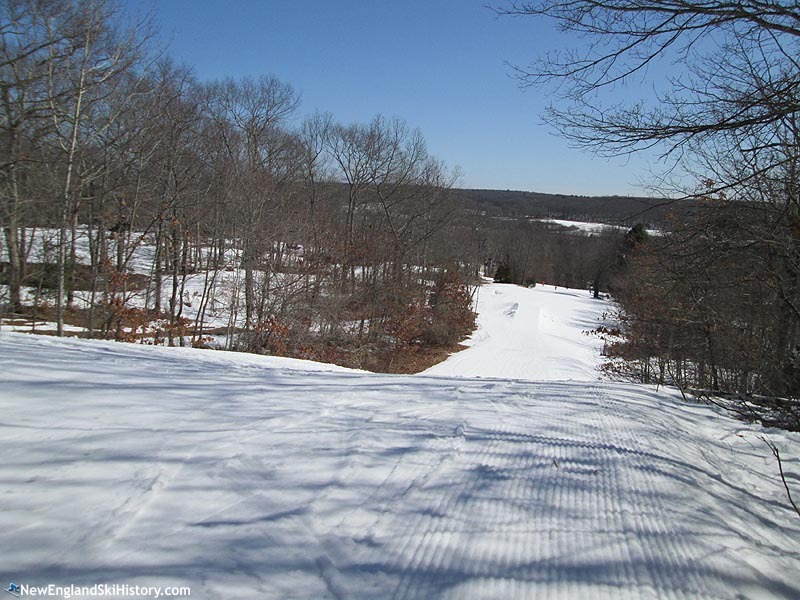 Complete history of Yawgoo — and other Rhode Island ski areas — is available at the New England Ski History website. Their sister site, New England Ski Industry is a comprehensive source for news that covers everything from the biggest resorts to the smallest community rope tows. Both are worth checking out.